Continue Supporting the Azkals this Year! We’ve all grown to love the Azkals, better known as the football team that represented our football-driven country in last year’s AFF Suzuki Cup. The team showed an epic display of dedication and willpower, despite being underdogs to every other football nations they’ve ever faced. Despite losing to Indonesia in the semifinals, the now-formidable Azkals went home with a bigger chip on their shoulders. The Philippine football team will reportedly participate in next month’s Asian Football Federation Challenge Cup and on the FIFA Qualifiers later this July. Winning games in the latter will secure our country a spot in the next FIFA World Cup, a feat our generation will witness for the first time. Clearly, the Azkals needs all the fan and crowd support it can get right now. The Philippine football team defeated defending champion Vietnam, 2-0, in the AFF Suzuki Cup last December 5. Game commentators called this moment the biggest shock in the tournament’s history. Goalkeeper Neil Etheridge successfully blocked scoring attempts by Vietnam, while Chris Greatwich and Phil Younghusband each had a goal to seal the game. The rest, as they say, is Azkals history. News surrounding the Azkals has been non-stop since their participation in last year’s AFF Suzuki Cup, the first major competition the Philippine football team has qualified for in a long time. From the upset victory against Vietnam to their AFF Suzuki Cup Fair Play award, the team consistently garners mentions in all mediums possible to this day. 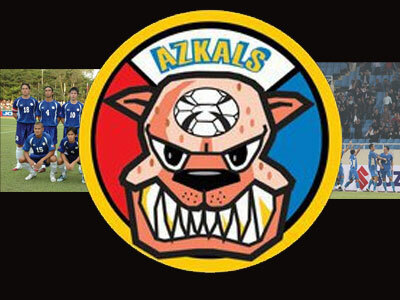 And now the word “askal” is synonymous with the football team. We all know James and Phil Younghusband, Filipino-British brothers and one-time Chelsea FC reserves. The siblings recently declined to join the Jakarta Football Club, leaving behind an offer that includes an $8,000 monthly salary and a $24,000 signing bonus. "Our priority is the Philippine national team and our football academy," says James, as reported by the Business Mirror. Now that’s what we call patriotism. The team recently decided hired German coach Hans Michael Weiss, replacing Simon McMenemy, the English coach that led Azkals in the AFF Suzuki Cup. PFF President Nonong Araneta has credited Weiss as “having coached teams in China, Japan, and Africa.” The team is also giving try-outs for Filipino-European players, including Patrick Herget, Patrick Hinrichsen, William Guerridon, and many others. PBA Introduces Its Own D-League!